Don't like your jobs? Let GILGABOT help you! Select the kind of change you want! Leave 'Wind Job', etc. unchanged to make no changes to that job. Remember to tweet so your change is recorded! And don't forget to donate for the help GILGABOT gave you! You must be a registered player to change your jobs. Job Fair tweets must be manually processed. They will be reflected once your donation and tweet are confirmed. Feel free to play with your new jobs once you tweet and donate but please understand the changes will not be reflected instantly. You are limited to those four jobs. You are required to change your job BEFORE you start using any job for that crystal set to avoid confusion. You are not allowed to play to the end, donate for a Freelancer and use it then. Think of it as you donate to pick the jobs you want. Not to get to use more than four jobs. If you would like custom job sets or just want to get rid of monk who you have started with every, single, fiesta, this is for you! Feel free to use the jobs once you change them, but do be aware that not donating would be really, really uncool. The official player page will not be updated until your donation is confirmed. We appreciate your help and donations. Why ask for donations to change jobs? 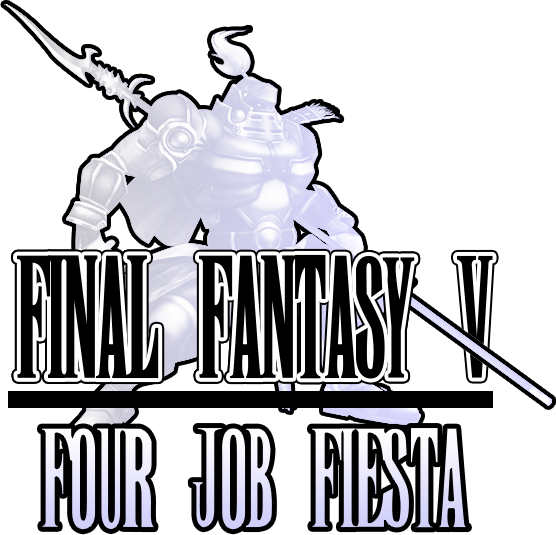 Well, the spirit of the fiesta is to have the job sets be random. But we also want you to have fun. If Thief/Berserker is really stopping you from enjoying the fiesta, a small donation to change it up isn't all that terrible, right? Remember, it's all for Child's Play! REMEMBER: You can only use those four jobs. That includes skill. If you used White Mage but changed it to Blue Mage you cannot use any skills from the White Mage job.